Business Processes Improvement – Essential Elements for ERP Success. 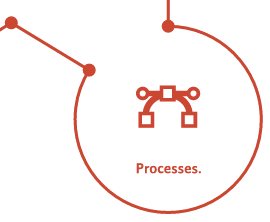 The second part of Lee Ann Healy’s trilogy of blogs is centred around business processes. Lee Ann continues to discuss the essential elements required to achieve success within change projects. Focusing on ERP but applicable to all business system projects, this series explains an approach to change that provides the best chance for success. It is well documented that many companies have struggled with ERP projects. Failed ERP implementations with high expenditure and little or no return have resulted in bad press and damaged board room reputations. So it’s hardly surprising that there’s often a wariness to even start such an undertaking. And people are right to be wary. It’s a huge investment for businesses – both in pure costs but also the time and effort involved. But done right – ERP can provide a robust platform for business growth and be a key enabler for improved profitability and reduced operating costs. So how can you ensure that your ERP project doesn’t become an unwanted headline? Well, one of the main reasons for ERP failures, other than poor change management (as discussed in Part 1 –Link), is that it’s been implemented with a system-led approach rather than a business-led approach. The assumption that putting a new system in will sort out all the business issues. We see this all the time with business system implementations – whether it’s ERP, CRM, or Business Intelligence. And time and time again businesses don’t leverage the full potential of these systems. Because it’s often the underlying business processes that are poor. What’s the point in replicating poor processes in a shiny new system? Where’s the business benefits in that? There needs to be robust business processes driving a new system. If an ERP system is built on inefficient and poorly designed processes, then it will more than likely fail. And certainly won’t deliver much in the way of ROI. By taking an analytical approach to key business process improvement within a business, you can get from your ‘as is’ to your ‘to be’ much more quickly and effectively. It might take more time and effort upfront in the early stages of your ERP project. And with the usual time and budget pressures, it’s all too tempting to just focus on ‘getting the system in’. But our experience shows time and time again that in the long run, it will actually cost you more time, more money, and cause more disruption to your business if you don’t focus on the business processes and get them right up front. 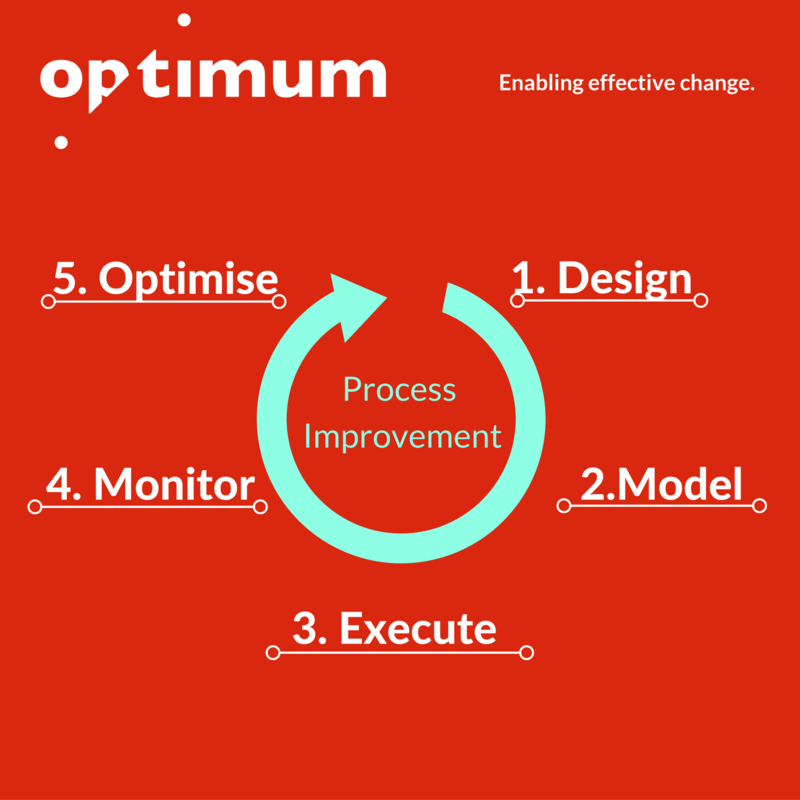 Using our Process Improvement Cycle (left) will help you define and implement best practice processes that are right for your business. We’ll give you a practical and pragmatic roadmap of how you get from where you are now, to where you need to be. We’ll look for opportunities to start making the changes and improvements upfront, often ahead of the new system implementation. > Start getting the teams working more effectively and efficiently. > Start getting the benefits into the business. Our approach to Business Processes Improvement (BPI) also helps to reinforce the ‘buy in’ achieved with our approach to People (See Part 1). The human element of any process is key to its improvement. By working through the process improvement cycle with the individuals who actually complete the tasks every day, they feel involved, they see the improvements happening, they see how their contributions are helping. It’s an absolute game changer if you manage to do this well. If you can get everyone taking responsibility for defining the processes and making it work – really bought into it, not just nodding in agreement because their bosses want them to agree with it – it will work. The PPS in our name is there because of our strong belief in our holistic approach across People, Processes and Systems. We’ve looked at People and Processes so far in this series and that leaves Systems for the final part.